After being such a huge star in musicals prior to WW II, why was Mickey Rooney never cast in any of the big budget MGM Musicals of the 50s. Seems odd to me. The actresses got taller? All joking aside you ask a very good question. I'm trying to think of a 1950's musical where there would be a good part for Mickey Rooney. So far, nothing at all. Any suggestions? I think there might be a couple of reasons for that. Following some bad advice, Mickey Rooney parted company with MGM probably sometime around 1948, which was when he made his last big budget MGM movie, "Words and Music." The next several years were spent making low-budget films for other distributors. In 1951 he did return to MGM for one film, a drama with music which featured him on the drums, "The Strip." While not a bad film, it certainly wasn't a big budget Technicolor musical. Also, his career had gone into a slump and he just wasn't big box-office any more. "Summer Stock" had been planned as a musical to reunite him with Judy Garland, but because his marquee value had lessened, the powers that be decided that Gene Kelly would be the safer bet. Mickey could have done Stubby Kaye's Nicely Nicely in Guys and Dolls. He could have played Dad to Doris Day in Pajama Game. Maybe taken over Ray Walston's Devil in Damn Yankees. Perhaps Pappy in Lil Abner. Finally Robert Preston's sidekick in The Music Man. Rooney could do anything. Absolutely anything. I'm chagrined to hear he wasn't much liked by his co-performers. But in terms of talent, no less than Olivier labeled him the best performer in America. I like Rooney but he is a polarizing actor around these parts. E.g. some really find him alloying. Of course there the films he did with Garland but I also enjoy many of his 'B' noir \ crime films. 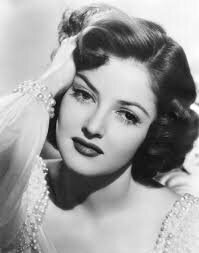 And two of his wives rank in my top 10, Gardner (wife #1) and Martha Vickers (wife #3). Thx for the warning. Everyone can rest assured that I had no intention of touting his merit to the point of anyone's annoyance. No, no, no. I wouldn't beat the bandwagon drum for him. I think he's an interesting American figure --and several of his films intrigue me-- but that's as far as it goes. I'm not a 'rabid' fan. One film of his which I am a rabid fan for, however, is the marvelous 'The Black Stallion'. Good night! I wish I could have the experience of watching that flick again for the first time. Holy hannah do I love that movie. Real heart-in-the-throat stuff. My favorite horse-race picture, bar none.